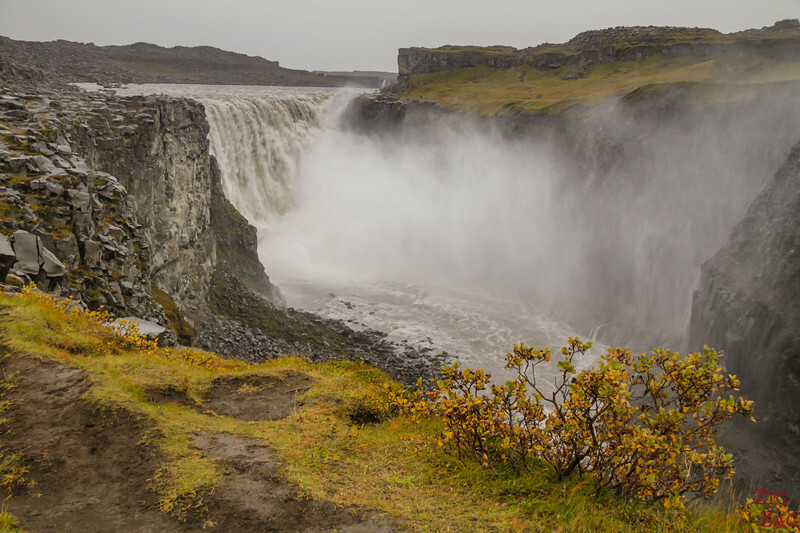 The Dettifoss waterfall is one of the most famous places to visit in North Iceland. 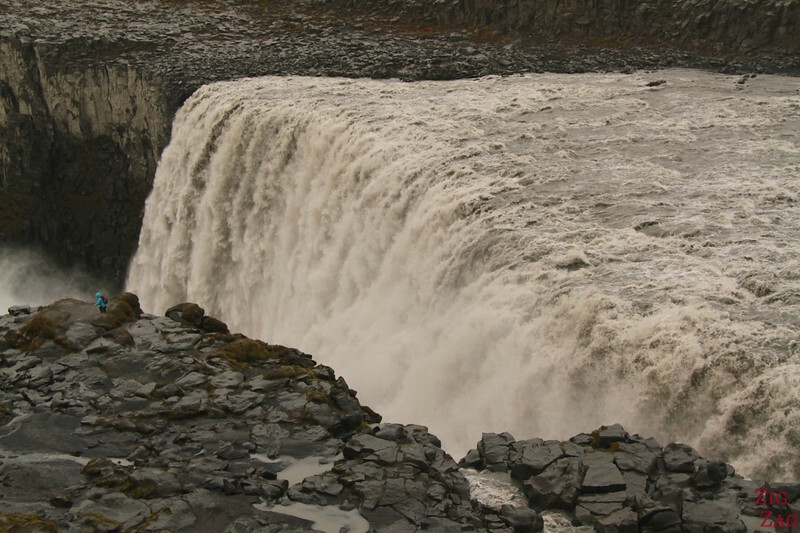 Located in Jokulsargljufur national park, Dettifoss is wide and majestic. 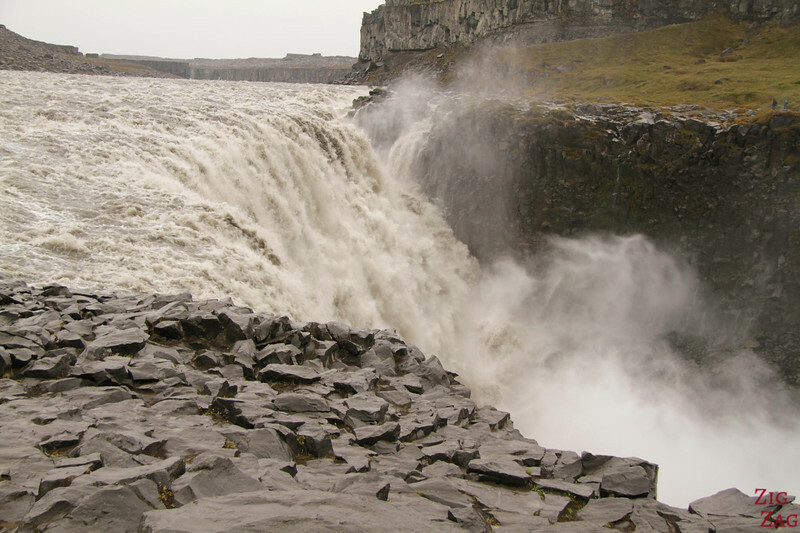 And if you want more, a walk will take you to the Selfoss waterfall, which is spread out and delicate. Both a pleasure for the eyes! Here is my guide with photos and planning tips. 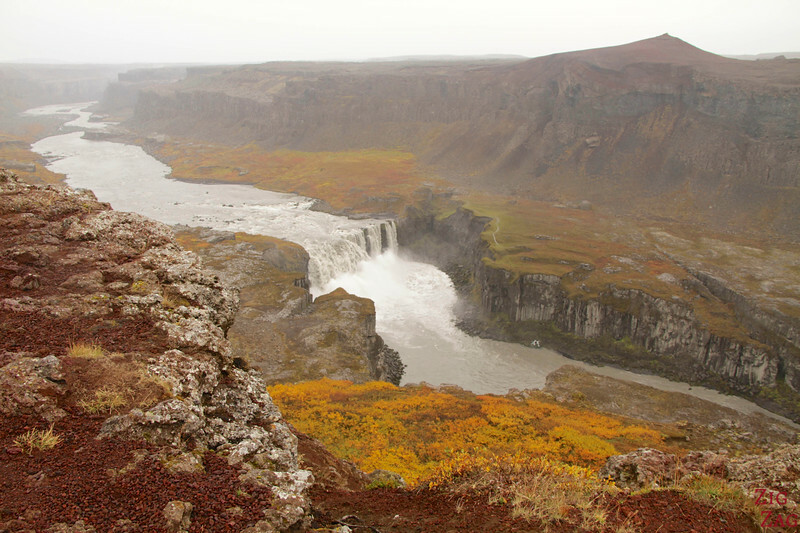 Jokulsargljufur is the largest and most impressive canyon in Iceland. It is approximately 25km long, about 500m wide and its depth comes close or exceeds 100m in many places. 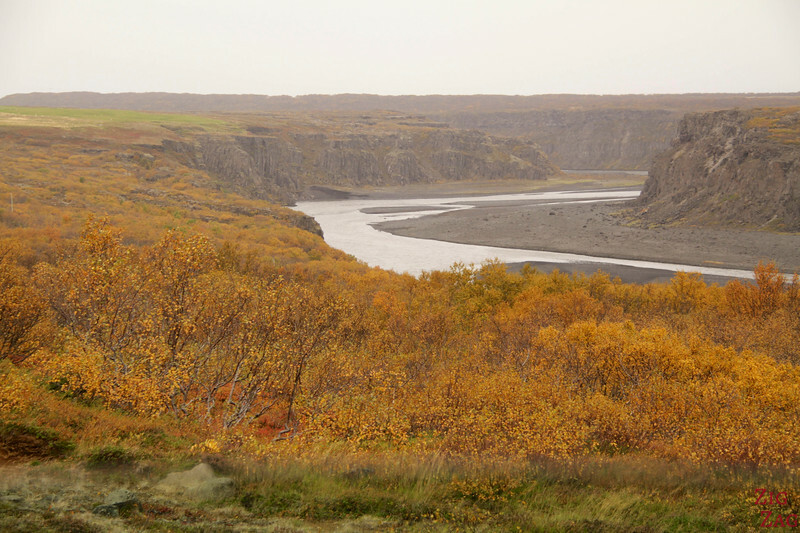 The canyon is believed to have been formed by catastrophic flooding in the glacial river Jokusla, which originated on the northern side of Vatnojokull glacier after the last glacial period. Jökulsárgljúfur forms the northern part of Vatnajökull National Park. Its name means Glacial River Canyon. Dettifoss is one of the most famous waterfalls in Iceland because it is reputed to be the biggest waterfall in Europe in terms of volume which varies between 200 and 500 cubic metres of water per second. 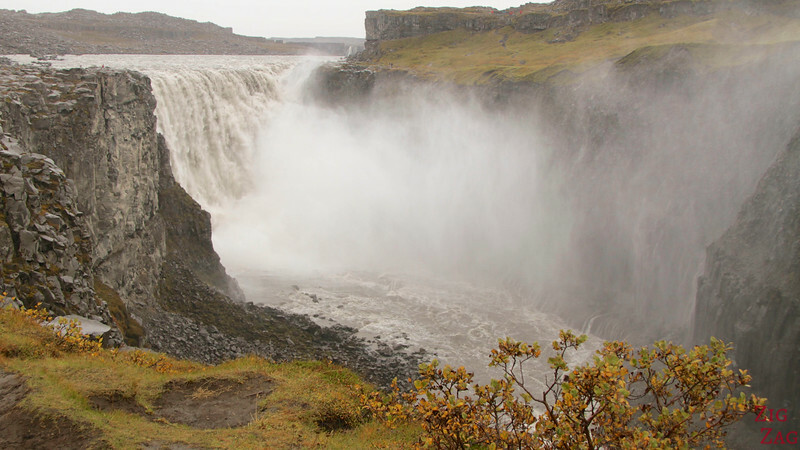 Dettifoss is a curtain-shaped waterfall that is 100m (330ft) wide and 44m (144ft) in height. 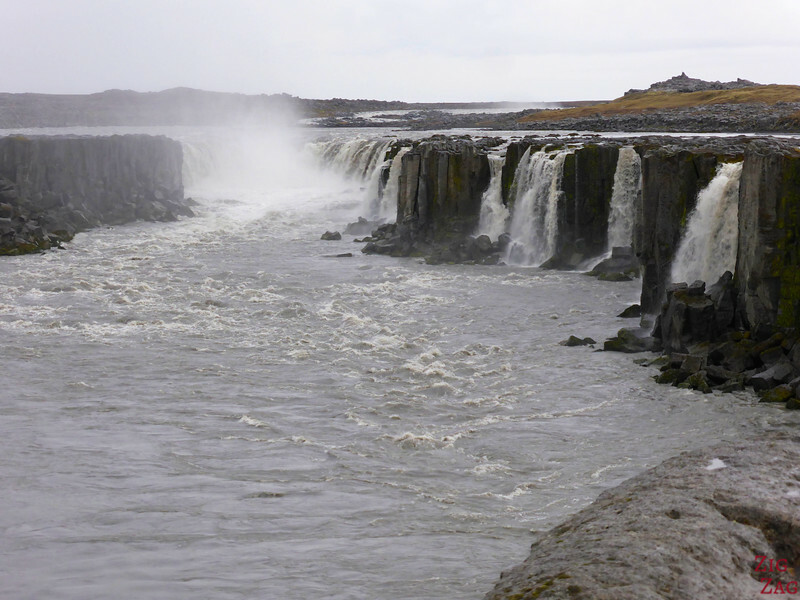 Selfoss is lesser known because it is smaller and requires walking to reach it from Dettifoss. The waterfall is a horse-shoe shaped waterfall. 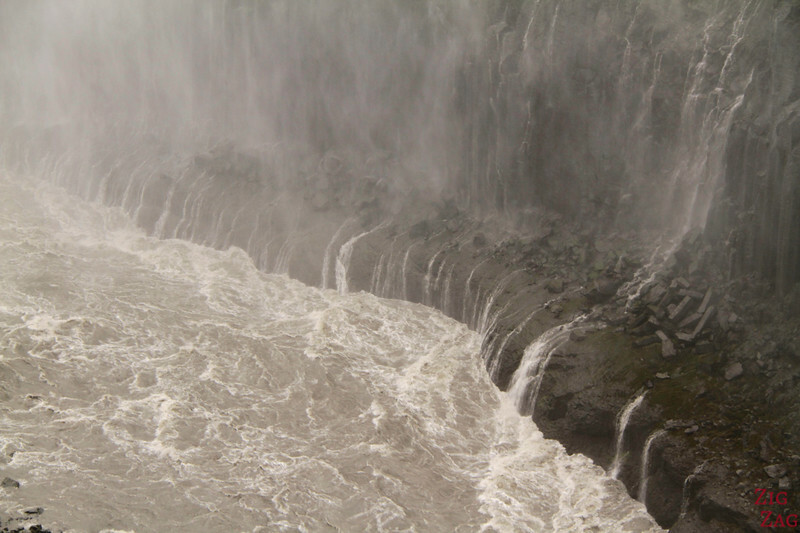 It is 10m high and continues into a veil like series of small waterfalls. The 3rd waterfall is Hafragilsfoss and is far less famous because you need a 4WD to reach it. There is no easy track to reach its bank, but the views from the ridge of the canyon are magnificent. You can learn more about it and see more photos on my article about Hafragilsfoss. 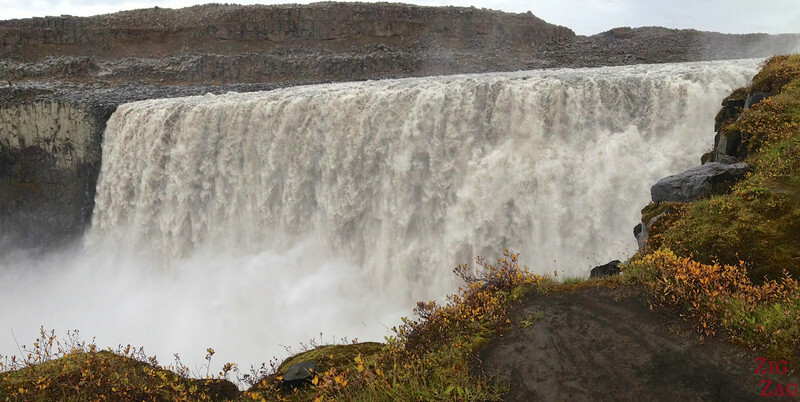 Dettifoss is a curtain-shaped waterfall. It is 27m high. 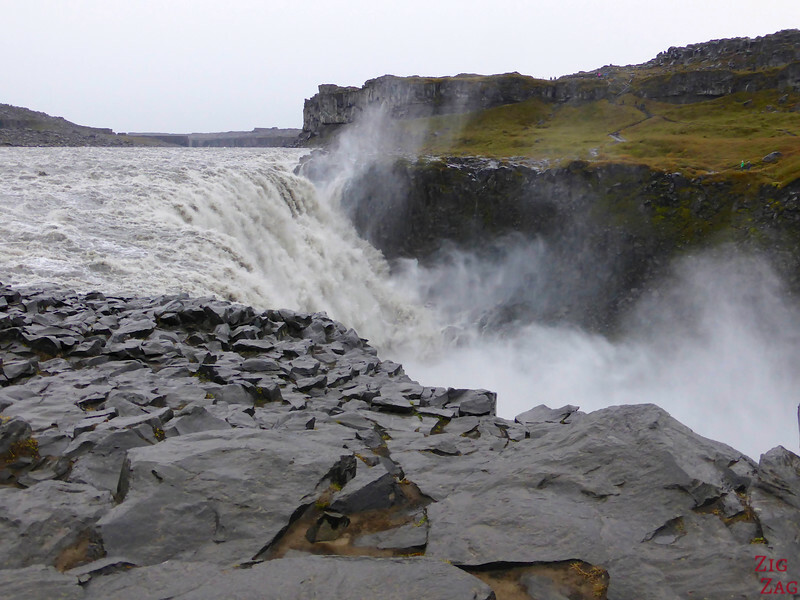 To the North is also Rettarfoss: 75m wide and a 7m high drop (or 12m depending on sources...). I have not seen it. 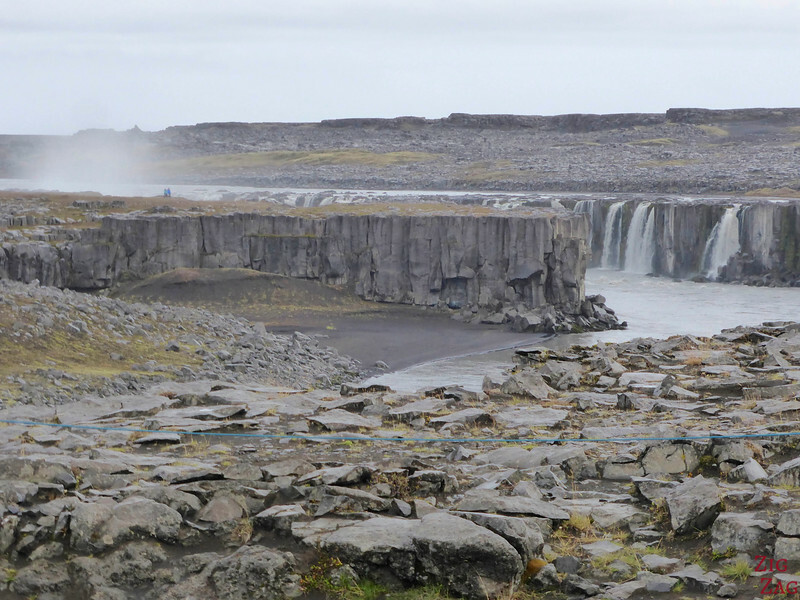 More photos of Dettifoss and Selfoss after the Practical info and Planning tips. 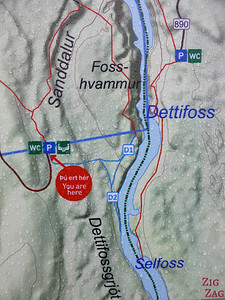 Dettifoss: Which side to visit? east or West Bank? They bring something different. But for those who are limited in time, here is a summary of the comparison, or you can check the pictures below. What to wear to Dettifoss? It is essential to wear good waterproof shoes, a waterproof jacket and have something to protect your camera from the mist. On this side of the canyon, you can get really close to the waterfall and appreciate a lot more its width. And then you can walk down to get up close with the massive flow of water. Be reasonable and don't walk too close to the edge, it is slippery! 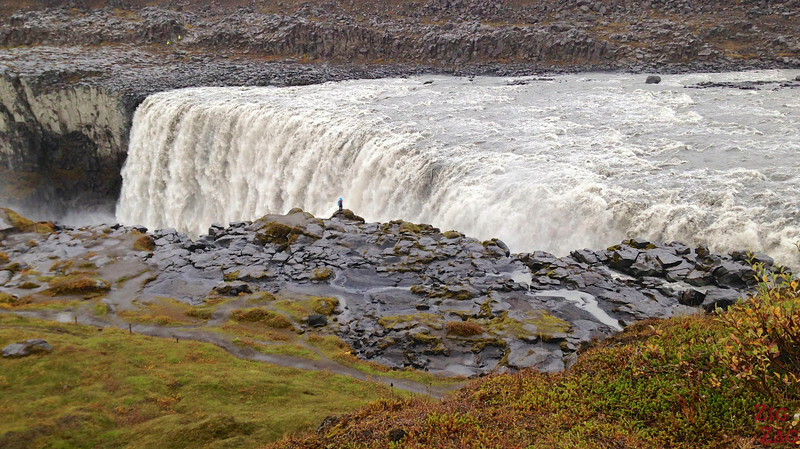 Parking-Dettifoss-Selfoss – Loop 2.5km (1h to 1h30) – the path is not paved. There are rocks and boulders. On The path is clearly marked but there are a lot of slippery stairs because the rain and the mist. You can walk right up to the edge of the waterfall and realise its power. 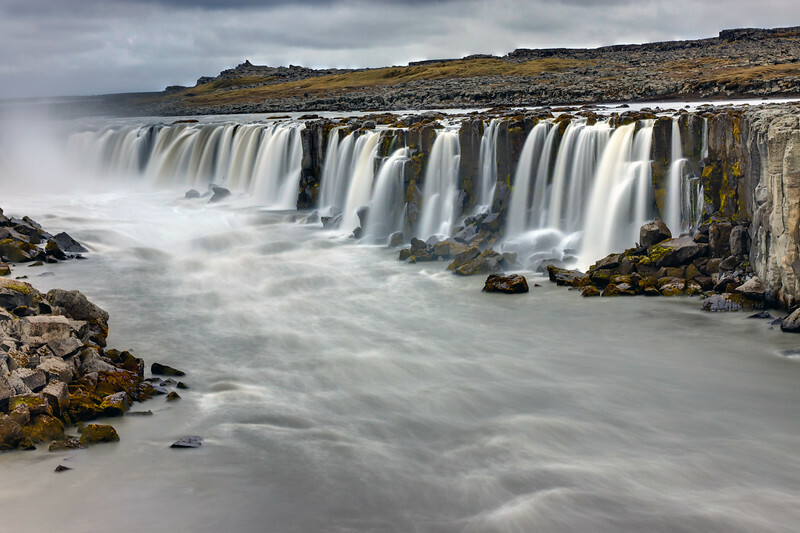 Selfoss isn’t nearly as tall or as powerful as Dettifoss but it has a horseshoe shape with many smaller waterfalls which are very elegant. 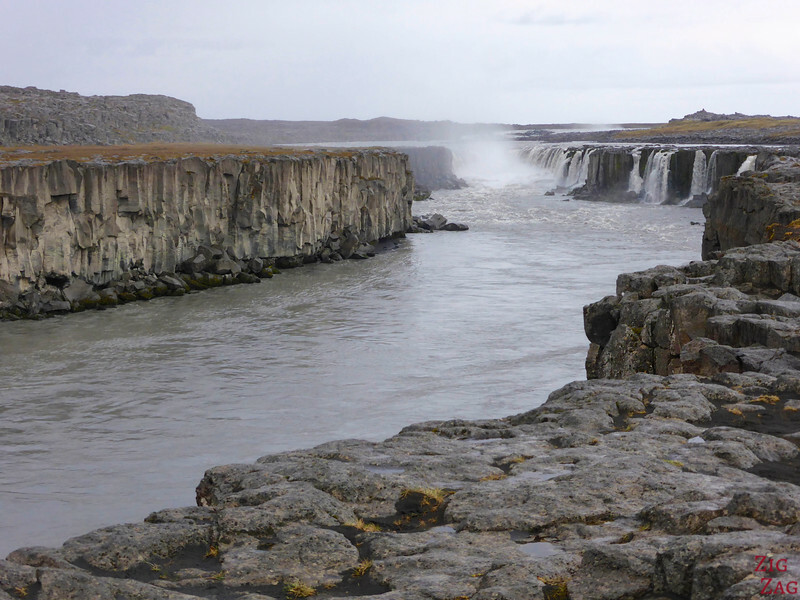 When I was planning to see Selfoss on the East Bank, it was the end of the day and I was very tired so after 5 minutes on the path to Selfoss I decided to turn around. This is not and easy flat path. There are boulders and it requires focus. I decided it was not reasonable for me to continue. 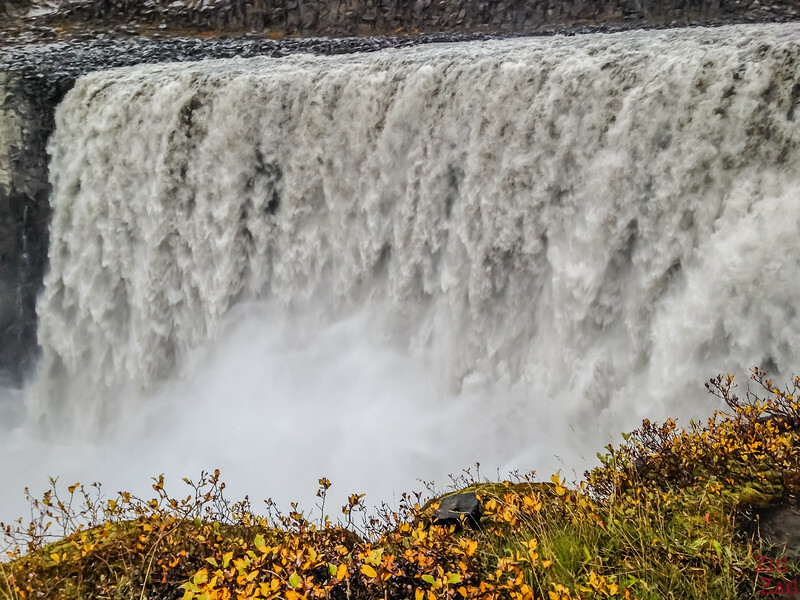 And if you love waterfalls, check out my list of 21 falls in Iceland which includes the famous Gullfoss, Godafoss, Seljalandsfoss and Skogafoss. Which bank will you visit?